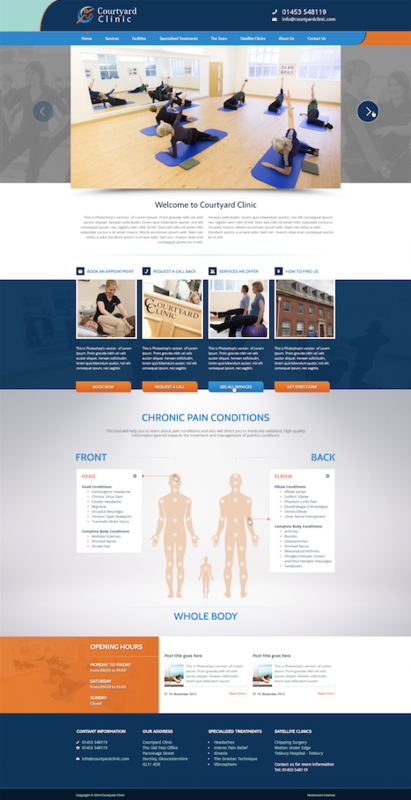 Courtyard clinic started life 20 years as a small physiotherapy business on Dursley high street. Today they are one of the largest providers of healthcare and well-being services in the south-west. Their ethos is to treat injury and promote health in varied and innovative ways with an underlying focus on clinical excellence. With the range of clinical and complementary services available they have the skills, the time and the imagination to get you sorted out. Thank you so much for all of your help! It WORKS! You are a star! I really appreciate it. Peter rang and I told him that I was very happy with the help you have given me. Cheers.